We created the the official Ezoproduct Inc. website. The aim for this project was to quickly create a website under 20,000 yen with a simple layout. Photography of products cost extra though. As only a few main colors were used in the design, it keep everything clean and simple. It runs on our server, is responsive and links to social networks like FC2, Facebook, Twitter, and Instagram. 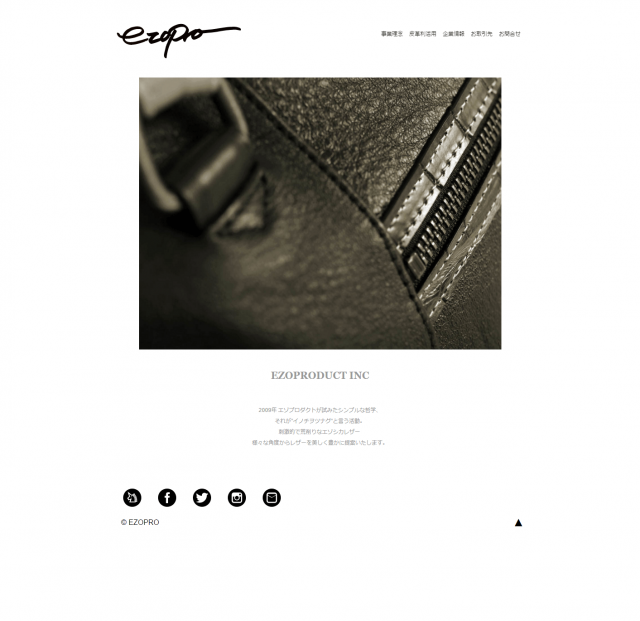 Ezoproduct Inc. is a leather goods manufacturer that promotes the use of deer leather (Ezoshika’s leather). It is part of an environmental clean up project in Hokkaido, to reduce the amount of road accidents and create new products from Ezoshika leather.